Hot flashes, power surges, night sweats – this decrease in a woman’s tolerance of surrounding temperature changes is the most frequent symptom of menopause and perimenopause. If you’ve ever had a hot flash, there’s no mistaking the sudden, intense, hot feeling on your face and upper body. Hot flashes occur in more than two-thirds of women during perimenopause and almost all women with induced menopause or premature menopause. We generally start to see hot flashes in the perimenopausal transition – the one to six year transition of irregular periods combined with fluctuating and decreasing estrogen levels. The age range for this is typically between 46 and 56, with the average age of menopause in the United States being 51. A fair number of theories exist as to why hot flashes happen –the general consensus is that as women age, their bodies are no longer able to tolerate a wide range of temperature changes. Because of that, any minor change in the surrounding temperature can trigger the symptoms of a hot flash. A wide range of factors can contribute to hot flashes in perimenopausal women. Women that are smokers tend to have an earlier onset of and, in some studies, a different intensity of hot flashes, as do women who are above ideal body weight. An individual’s diet, particularly hot or spicy foods, can also trigger hot flashes. Climate also impacts hot flashes–particularly altitude – and some ethnic backgrounds more than others have a certain predisposition toward temperature sensitivity. These are all factors that need to be considered when evaluating hot flashes. In addition, certain over-the-counter or prescription medications can contribute to or mimic symptoms that resemble hot flashes or night sweats. In rare situations, there are other contributing medical conditions that can mimic hot flashes. 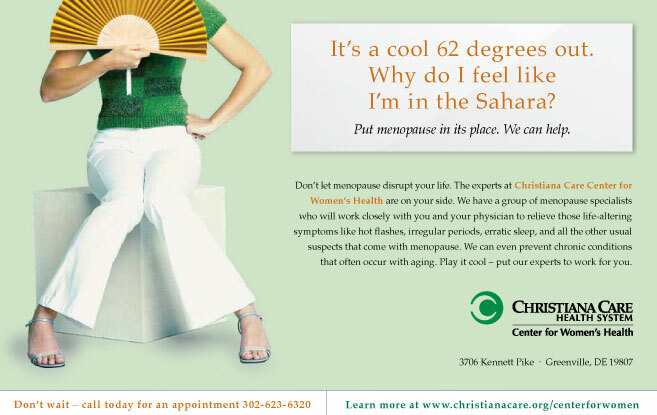 However, these other conditions usually have associated symptoms separate from the hot flashes. The management of hot flashes, night sweats and other temperature sensitivities often requires an exhaustive approach to the problem by the patient’s primary care physician. That approach may sometimes even require the involvement of a menopause specialist and, occasionally, an endocrinologist or internist experienced with rare medical conditions where hot flashes may be a symptom. Treatment often involves a customized approach for the patient that may include any combination of lifestyle modifications – exercise, dietary adjustments, avoiding caffeine, alcohol and tobacco use – as well as incorporating over-the counter products like vitamin E and isoflavones and, eventually, prescription medications. It’s best to try to customize treatment based on a patient’s goals. We are all unique genetic individuals and respond to treatment differently. Physicians initially address as many of the behavioral issues first when treating for the symptoms hot flashes. Subsequent to that, FDA monitored medications – either over-the-counter or prescription–can be considered to further enable a patient to resume a comfortable day-to-day life. A number of hormonal prescription medications, particularly products containing estrogen (with progesterone when also indicated), can also be used tominimize the significant swings in the body’s estrogen levels that may result in hot flashes. Non-hormonal prescription medications are also an option. Certain selective serotonin/norepinephrine release uptake inhibitors as well as low doses of certain blood pressure medications, in moderate doses, have also been shown to benefit some patients. Ultimately, the goal is to minimize the potentially significant and disruptive effects that hot flashes can have on an otherwise comfortable everyday lifestyle, restoring a patient’s everyday life to an ideal level of personal satisfaction. 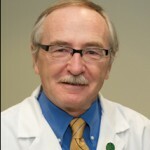 William A. Hohman, M.D., FACOG, NCMP, is a certified menopause clinician, specializing in individualized treatments for symptomatic menopause. The Christiana Care Center for Women’s Health offers a group of women’s health specialists focused on gynecologic issues that may become more complex for women beyond their child bearing years – conditions that can often only be addressed by special consultation, advanced treatment or surgery. The Center for Women’s Health is located at 3706 Kennett Pike in Greenville. For more information or to schedule an appointment, call 302-623-6320. ← Previous Story Can One-of-a-kind Jewelry Be For Everyone? Next Story → It’s Your Health; Get The Best!